Carnival announced it will sail as planned from the U.S. to Cuba with all travelers, including Cuba-born passengers, for the company’s week-long voyages to Cuba. 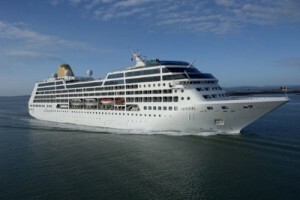 Carnival Corporation worked closely with Cuba to allow its cruise ships to operate in a similar manner as current air charter operations to Cuba, starting with its historic inaugural voyage on May 1, 2016. Last week, in anticipation of this positive outcome, Carnival Corporation announced its new Fathom brand was accepting bookings to Cuba from all travelers, including individuals born in Cuba. 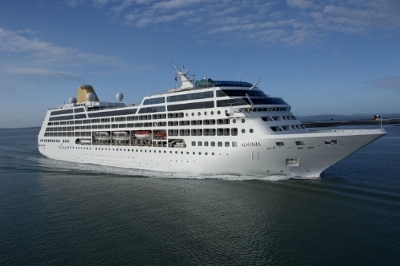 Fathom’s 704-passenger Adonia luxury cruise ship will begin sailing to Cuba every other week, marking the first time in over 50 years that a cruise ship has been able to sail from the U.S. to Cuba, as well as the first time in decades that Cuban-born individuals will be able to sail to and from Cuba. “We have already seen tremendous interest in the incredible Cuba journey we have put together, and we are ecstatic that this historic opportunity is open to everyone who wants to travel to Cuba,” said Tara Russell, president of Fathom and global impact lead for Carnival Corporation. Special onboard programming will include a wide variety of activities covering an array of interests, ranging from an orientation of Cuba’s history, customs and culture, to geographic-inspired entertainment, to casual and fun personal enrichment activities, along with conversational Spanish lessons. Seven-day itineraries on Carnival Corporation’s Fathom brand depart from PortMiami on Sundays at 4:30 p.m. Eastern Time (ET). The ship will arrive at its first destination,Havana, the following morning (Monday) at 11 a.m. ET. The Adonia returns to its homeport, PortMiami, at 7:30 a.m. ET on Sunday. To reserve a spot on future sailings, travelers may contact their travel professional or call 1-855-9Fathom. Visit Fathom’s “Cruise to Cuba” page to learn more about the brand’s weeklong itineraries to Cuba. Filled Under Blog, Destinations, gallery, News, What's New?